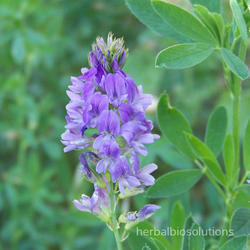 Our range of products include alfalfa extract, billberry extract and black kohosh extract. Billberry , one of the low growing shrubby perennial in the forests of Europe and Northern United States. They can be grown in acidic conditions and are closely related with blueberries. Its branches contain alternating, elliptical, bright green leaves, and its flowers, which appear from April to June, are reddish or pink, and bell-shaped. The fruit of the bilberry plant is blue-black or purple and differs from the American blueberry in that the meat of the fruit is purple, rather than cream or white. Leaves and Fruits of billberry are used in the process of extracting the active ingredient (tannins) of the billberries. This herb is used for diabetic retinopathy, macular degeneration, glaucoma, cataract, capillary fragility, varicose veins, hemorrhoids, and mild diarrhea Its use has been documented for treating bladder stones, biliary disorders, scurvy, coughs, and lung tuberculosis. More recently, bilberry fruit extracts have been used for the treatment of diarrhea, dysentery, and mouth and throat inflammations. 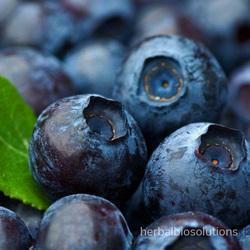 Bilberry leaf decoctions have been used to lower blood sugar in diabetes. Several active constituents have been isolated from the berries and leaves of the bilberry plant, including anthocyanoside flavonoids (anthocyanins), vitamins, sugars, and pectins, which are found in the berries, and quercetin, catechins, tannins, iridoids, and acids, which are found in the leaves. The anthocyanosides are considered the most important of the pharmacologically active components. Billberry is a good anti-diabetic, anti-coagulant and anti-platelet agent. Habitat: flourishes in damp acidic soil throughout temperate and sub -arctic regions of the world. Black Cohosh/Kohosh known as both (Actaea racemosa and Cimicifuga racemosa), a member of buttercup family is a perennial growing in the woodlands of Ontario, Georgia, Arkansas and Wisconsin. Compound leaves of Cohosh are tall enough to reach a height of 3ft from the rhizome. Roots and Rhizomes of cohosh have been used as medications by native Americans. In the 1800's, physicians discovered the medicinal value of Black Kohosh and started including it in various remedies for fevers and arthritis. Preparations of Black Cohosh are made from roots and rhizomes of the plant using ethyl/iso-propyl alcohol.26-deoxyacetin is one of the active ingredient in the cohosh extract. Black Kohosh is used in Europe as a remedy for menstrual cramps, and also for relief of menopausal symptoms. Black Kohosh is valuable for many different health problems. This herb is used for different purposes, but is best known for its use as an herbal supplement to decrease the side effects of menopause. Black kohosh extract assist in reducing cramps, muscular pain and helps to promote general pain relief. The extract consists of fresh black cohosh root, kava kava root, and jamaican dogwood bark, and organic ginger root. 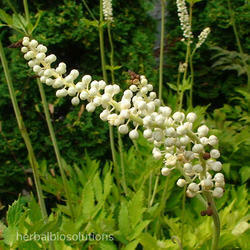 Some of the noted properties of cohosh include anti-inflammatory, Analgesic .